Deep calls for deep, says the Lord. I Am calling you into the very depth My love for you this day. 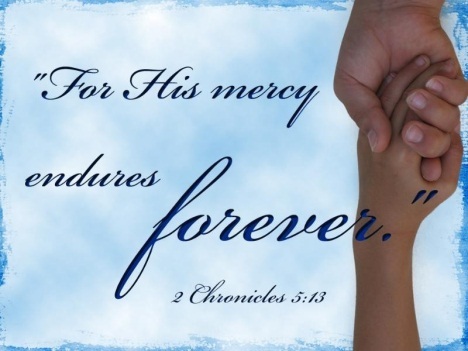 Yes, the well of My love and mercy that endures forever for you will never run dry. You will never be able to explore or comprehend such inexhaustible love that is always there for you. Nobody loves like I love, says the Lord, and just as My compassion is new morning by morning, My love for you is fresh each day. There is never a moment that My love fails you. Sin will not separate you from My love, because I have cleansed you and removed every mark and stain of sin with My precious shed blood for you. I say, what sin? What transgression? What I have cleansed let no one call unclean, says the Lord. I have no record of any, and I have removed them as far from you as the east is from the west, NEVER to remember them against you again. That is right. I said Never! So never side with the evil, dark one who is the accuser of the saints. Don’t ever listen to His lies. He is the only one condemned, says the Lord. I have given you My righteousness and My holiness as you have put your faith and trust in Me and My finished work of the cross. Forgiveness and cleansing are a perfect work of My grace, says the Lord, and I Am not calling you to prove yourself to Me. I Am calling you into the depths of My infallible love. I Am calling you to experience the benefits of My love by walking in liberty as the pure and holy child I have recreated you to be. I did it for you, says the Lord. Shake off the illegitimate condemnation and walk in My pure love today that will bring you liberty from that spirit of condemnation into the light of My abiding love and favor that is rightfully upon you this day, says the Lord.